I won't pretend to have a complete understanding of the entire filmography of Wong Kar-wai, but a specific pair of films which he directed are absolutely remarkable achievements. In 1994 he unveiled a special piece of cinema titled Chungking Express and then in 2001 his absolute masterpiece In the Mood for Love, and a familiar face starred in both of those films, an actor by the name of Tony Leung. 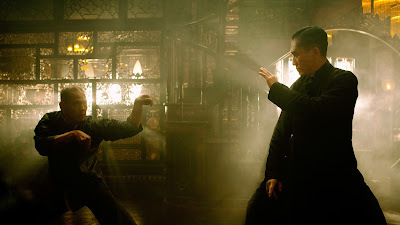 When I first heard that the duo would be reunited yet again for The Grandmaster, based on the life story of Ip Man, I couldn't have been more excited. Now that I have seen it, I can't quite put my finger on whether or not I would call the film a success. I suppose it depends entirely on your definition of that word. Under normal circumstances without entering the experience with such grandiose expectations, I would highly recommend The Grandmaster without hesitation. The performances are terrific, the direction from Wong Kar-wai is stylish and on point, and the Oscar nominated cinematography by Philippe Le Sourd is as lush and gorgeous as expected, like visual poetry, so stunning that it alone practically makes the entire movie a must see. My problem with The Grandmaster is that it pales in comparison to those films I mentioned above, along with another I didn't include because I don't hold it in the same elevated regard called Days of Being Wild. While the photography along with costume and set designs are masterful, the story itself doesn't really accomplish enough to hold my interest throughout. It sort of methodically meanders and because of this I was using my mind to wonder when the next compelling scene would arrive rather than be entirely invested from start to finish. So would I still consider Wong Kar-wai and Tony Leung a match made it heaven? Absolutely I would. 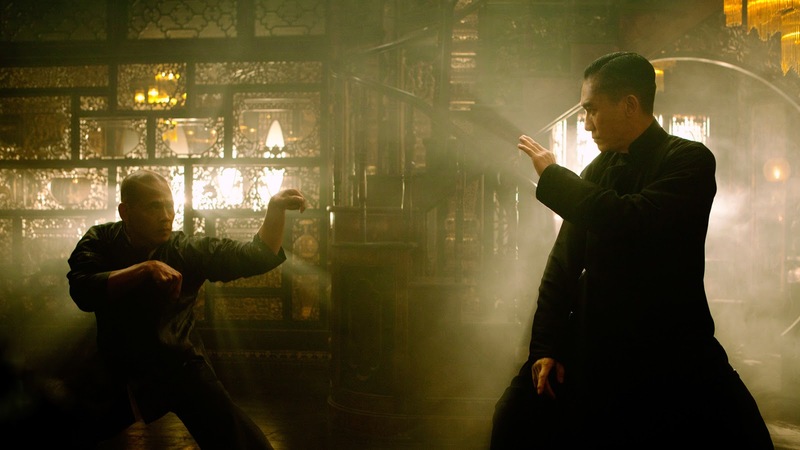 While flawed, The Grandmaster still achieved plenty enough for me to enjoy it. On a technical level this film was practically handed down from the gods, but the lack of story to match it feels like a missed opportunity. Sounds Fantastic!!! Thank you For the Honest review!! Thank you for reading Tara! I appreciate it very much.